Our location in Fredonia NY specializes in providing hearing health solutions to help discover and alleviate hearing problems in a variety of people. Our on site hearing specialists are happy to schedule a free hearing evaluation to help determine your unique hearing needs. We provide on site video otoscope exams so that you can see inside your ear canal. Your appointment will help determine whether or not you have a hearing loss or if it is simply just ear wax. There is no obligation to purchase additional products and services. Call today to reserve your appointment. Jessica Maziar is a graduate of SUNY Brockport. She lives in Stockton, NY with her husband and two children. Since 2010, Jessica has been helping people in Western New York with their amplification needs. 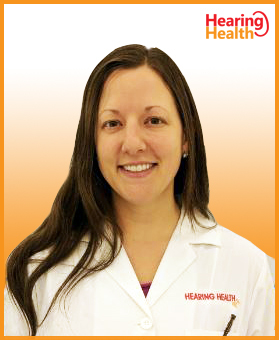 Being a New York State Licensed Hearing Instrument Specialist means that Jessica is a professional who evaluates people with hearing problems. She then determines whether or not they would benefit from amplification and chooses the best hearing aids to improve their condition. At her office in Fredonia, NY, Jessica performs the hearing evaluations as well as all of the follow-up services. “At Hearing Health, we truly want to help people. The biggest satisfaction that I get out of my job is knowing that I am truly making a difference in people’s lives. Not only have I been able to make friends with my patients over the past several years, but with their families as well. For me, I can go to work everyday and really feel like I am improving someone’s quality of life through better hearing”!